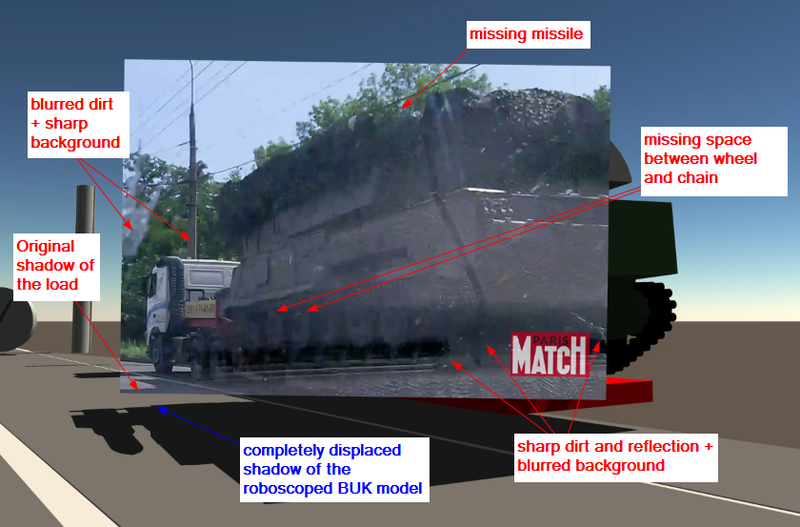 In anticipation of the Dutch Safety Board’s final report expected to be released October 13, it can’t harm to publish the latest research conducted by Michael Kobs and others dissecting social media ‘proof’ a Russian Buk supposedly downed MH17. – Origin of the ‘Buk smoke plume’. – Correctiv’s ‘launch site’ debunked. “This paper is the preliminary result of joint effort and ongoing discussion of an international group of investigators, including engineers, forensic scientists and lawyers. – The Paris Match photos are demonstrably false. – ‘Sightings’ in social media repeatedly reported details that contradict the facts, leading to the conclusion that social media have been used specifically to create a track in advance. – Contents of intercepted telephone calls are contrary to the actual events. – Presented telephone recordings show indications of manipulation. Posted on September 11, 2015 by 7mei.nl. Bookmark the permalink.